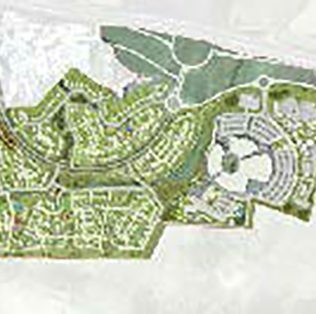 A Noise Impact Assessment was completed by CSP Acoustics on behalf of Kirkwood Homes Ltd. to support their proposed housing development at Blackdog, Aberdeenshire. Sources of noise in the area determined as being likely to affect the proposed development were: road traffic from the A90 and new AWPR to the west; the Blackdog Firing Range located to the north eastand from an existing industrial estate located to the west. The proposed development sites are also subject to noise from helicopter flights. 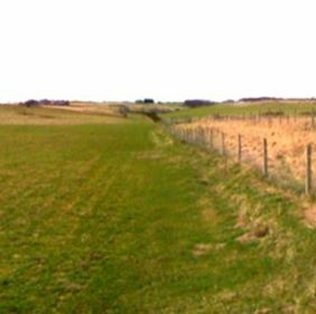 CSP Acoustics concluded that the cumulative influence of all the noise sources identified on each development zone required mitigation measures in order to comply with Aberdeenshire Council noise criteria. CSP Acoustics was involved in a series of meetings with Aberdeenshire Council to address Environmental Health Officers’ concerns, to provide information on the assessment completed and to design measures to mitigate noise in order to comply with local authority requirements. Following this process, the local authority granted Planning Permission.